Full support for Oculus VR™ with Razer Hydra™ headtracking. Ride outdoors indoors! 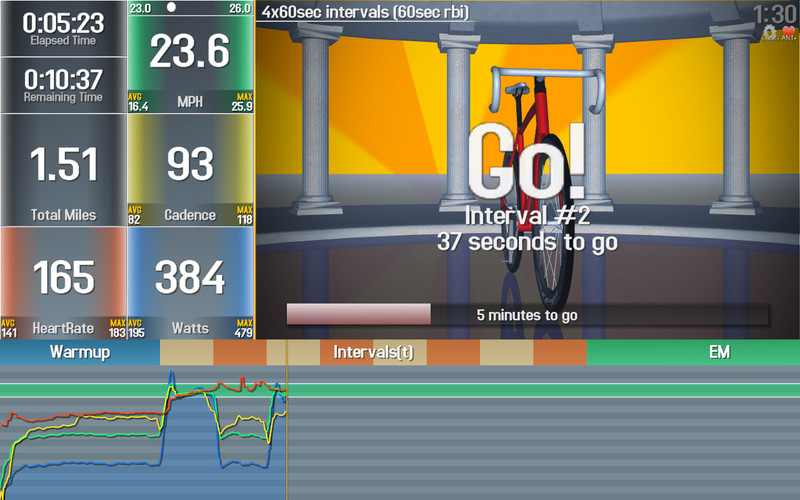 VRbike Trainer is a personal project I designed to make riding indoors on a bicycle trainer more exciting, while also enabling power training without requiring an expensive power meter. Workouts can be customized, prebuilt workouts can be used, or you can simply explore the environment with the hundreds of A.I. cyclists that populate the world. 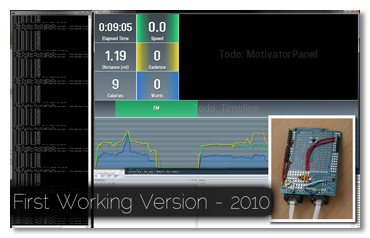 The program works by wirelessly receiving the ANT+ signals from sensors you may already have on your bicycle, just like a standard bicycle computer would do. If you do not have a dedicated power meter, power will be estimated for you based on your speed and specified model of bicycle trainer. 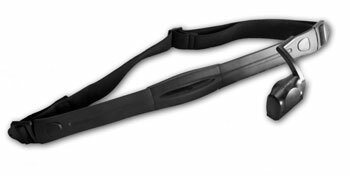 ANT+ Heartrate straps, pedal cadence sensors, speed sensors, and power meters are all supported. 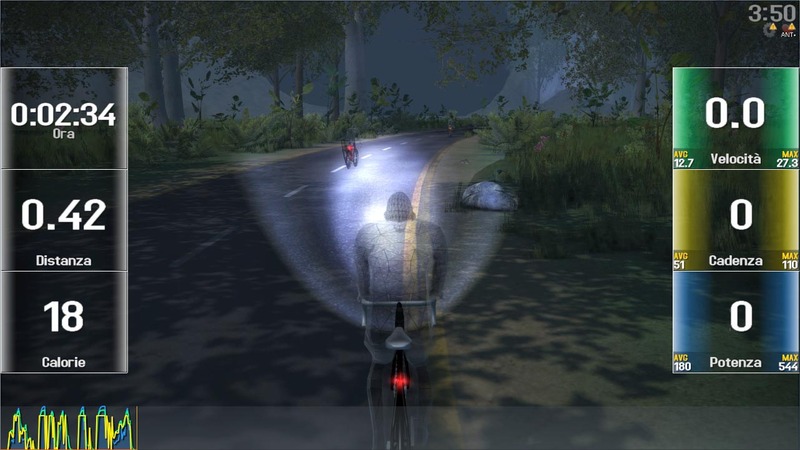 One of the goals of VRbike Trainer was to bring modern graphics and features that gamers have enjoyed for years to bicycle training. As such, VRbike Trainer supports a wide gamut of graphics adapters and can scale the experience to fit. Fully dynamic lighting and shadows, AI bike riders, and 5.1 surround sound are just a few of the features supported - not to mention fully headtracked OculusVR support for those who want to try virtual reality. 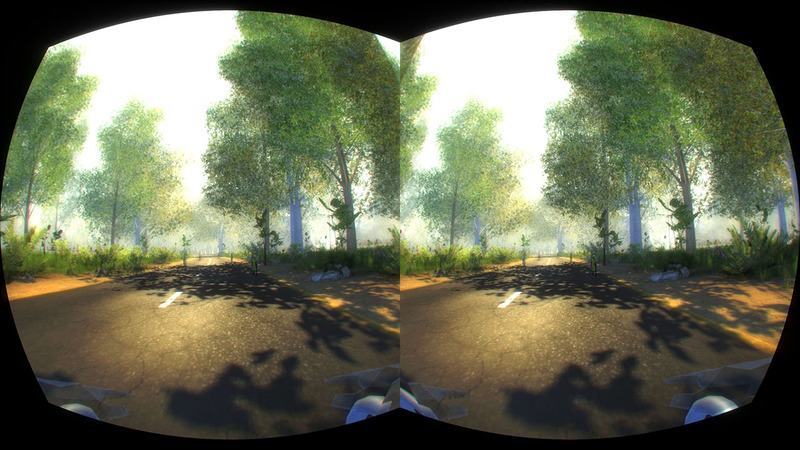 OculusVR mode is an experience that must be experienced in person, as words do not do it justice. Since this is a one man personal project, there is no public release date, nor is it yet a commercial product. If it is something that interests you, shoot me an email with your thoughts. While one day it may be for sale to end users, right now it is simply how I personally ride indoors - and it’s great! 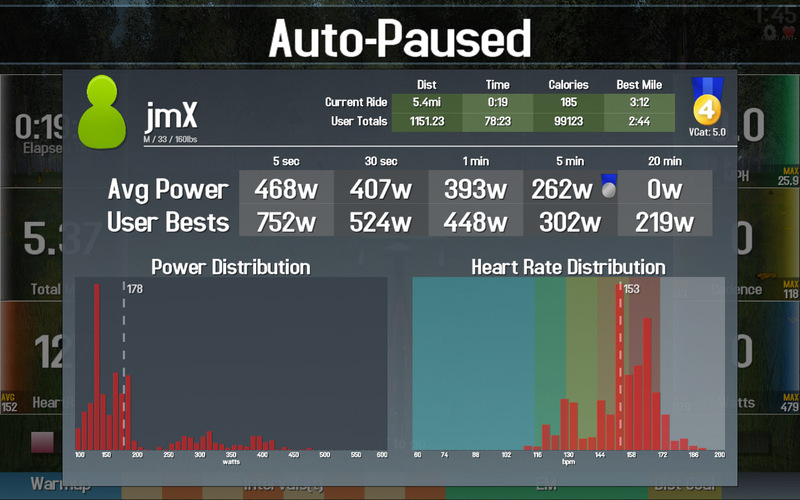 VRbike Trainer started out in 2010 as a simple way for me to create FIT/GPX files that included power data - even though I didn’t own a power meter. Since the mathematical models for calculating power based on the speed of a bicycle on a trainer existed, I figured I could have something up and running in a few hours. The first version was only a few hours work, and used a microcontroller with a reed sensor connected over USB to give me bike speed and pedal speed. VRbike Trainer was born. Soon after that things evolved to support completely wireless standard ANT+ sensors, and by the end of 2010 the first usable (albeit ugly) wireless version was done. Being a personal project, I typically work on whatever interests me at the moment. Since I’m a computer graphics programmer, naturally I began to work on the visuals. The C/C++ OpenGL based graphics engine is completely mine, no third party engines are being used, and I had quite a bit of fun writing it all. 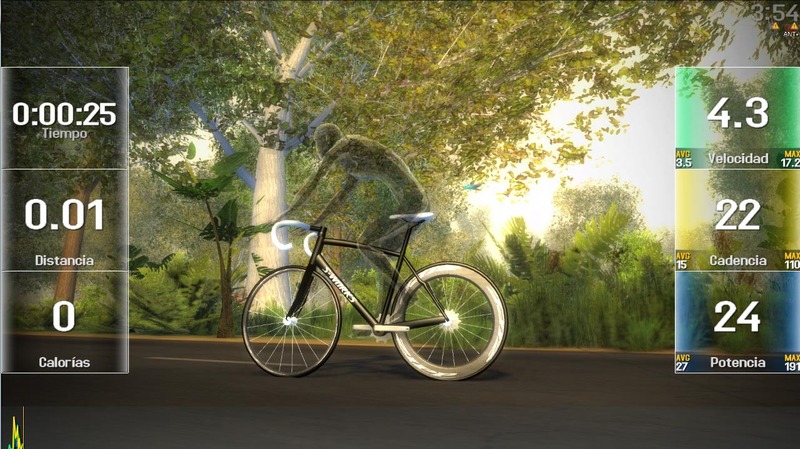 Eventually I dove into learning how to model a bicycle and wheel in Maya, created some basic animations for the bike rider, and created several trees, plants, and rocks to populate my virtual world. For the next 2 years I occasionally addedS new features whenever my limited free time allowed. I’m a dad, husband, and professional software developer based in Orange, CA. I’ve spent 14 years in the video games industry, starting out on Nintendo 64 and ending on Playstation 3. 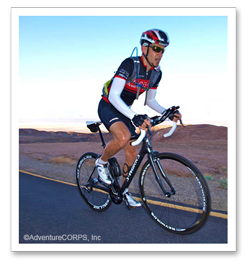 I love to ride bikes around as much as I can, with my favorite places to ride being Death Valley with the AdventureCorps crew, and Mt. Baldy. 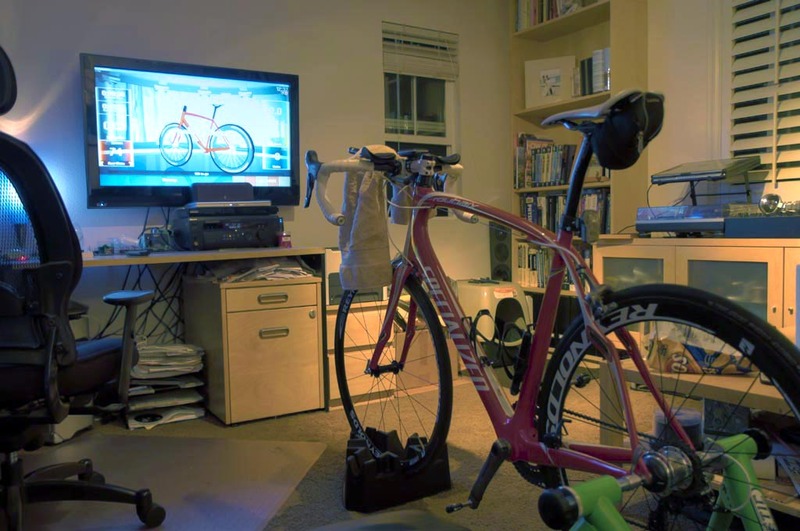 When time gets tight and I have no choice but to train inside, I of course use my VRbike Trainer. More of my software projects and personal interests are available for viewing at jmXDigital.com.